klee klee Fashion Store in Shanghai by AIM Architecture. klee klee, a new brand from clothing avant-garde ZUCZUG/, takes its name from Tibetan, meaning ‘slow down’. 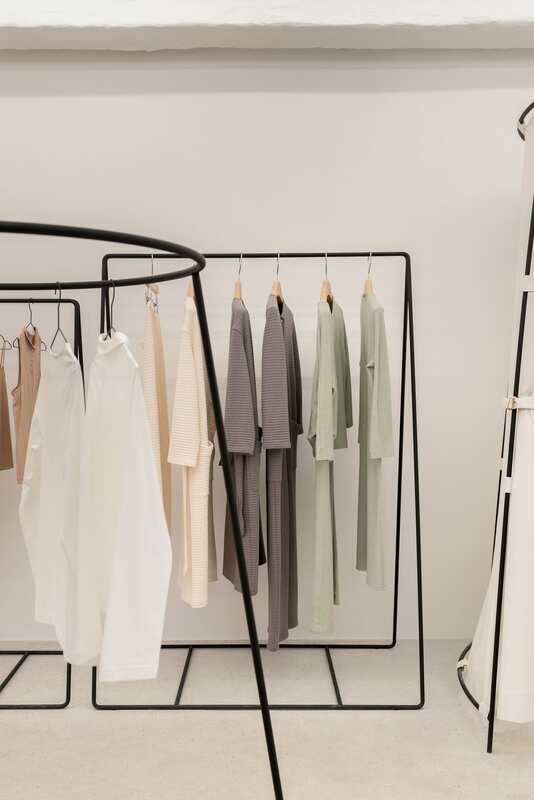 Its big sister ZUCZUG/ is a camera-ready fashion plate, but klee klee is an exploration of minimalism and low-impact production that results in high-impact design. Their concept plays with humans and nature coexisting equally and harmoniously, and looks to city dwellers wanting to turn down the volume, slow down their lives, and reconnect with natural rhythms and lifestyles. 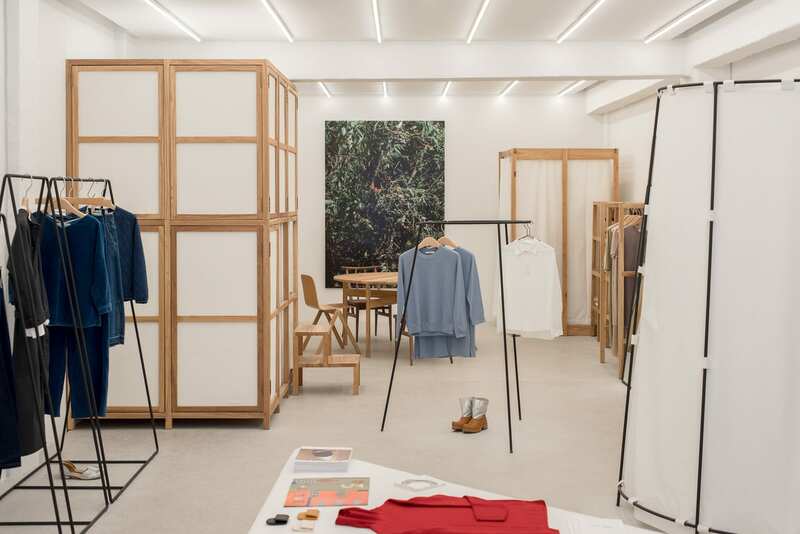 “When asked to design their first store, our initial thoughts went to the person who identifies with ‘klee klee’, and what their value systems would be. What would their space look like? How would they live? 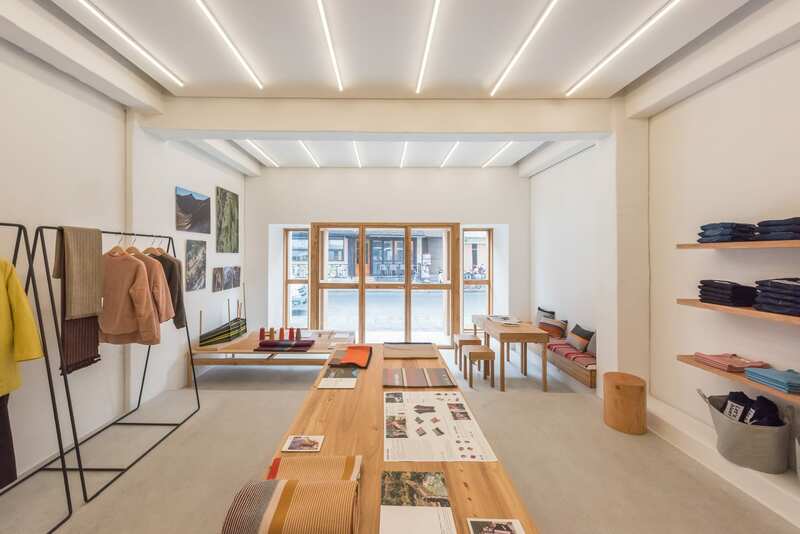 The goal then became to design a store that reflected the habitat of a person who lives by the idea of ‘klee klee’,” shares the design team. The conclusion is a space characterised by the collection of things inside, a simple and chic reflection on balance. The bare interior was whitewashed to bring out the perfectly non-perfect texture. 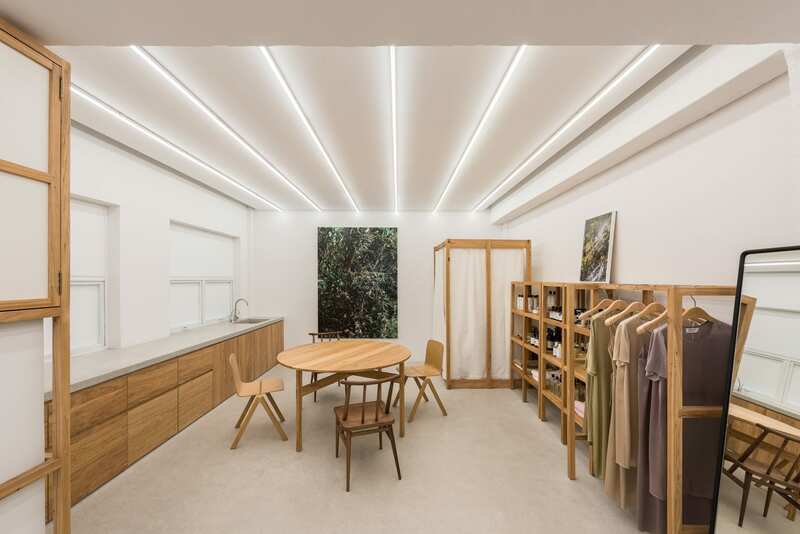 Led strip lighting emphasises the length of the space, and draws the visitor to the ‘end’ of the store, where natural light filters across a sitting area that invites time for a cup of tea and a chat. 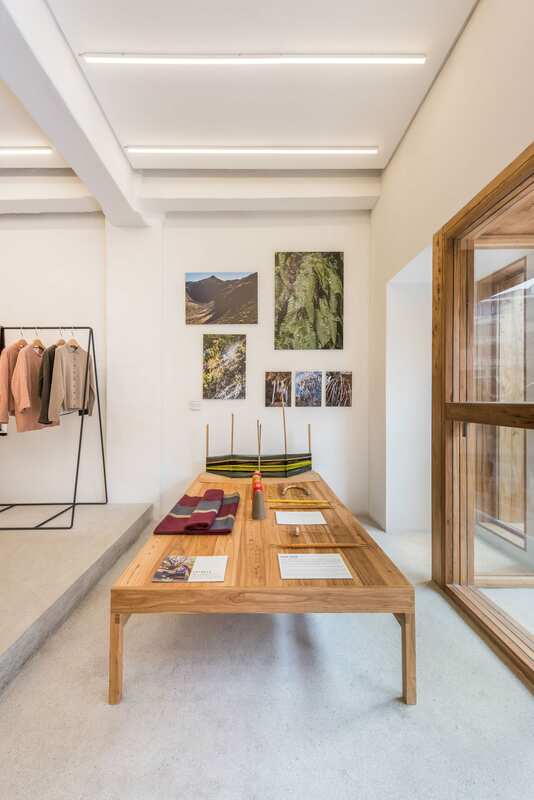 Although ZUCZUG/ and klee klee take inspiration from Tibetan plateaus and natural environments, both brands are contemporary and sophisticated in their own way. It was important to reflect its modern side in the design. The furniture is simple and functional, inspired by the pieces Chinese builders use on building sites. 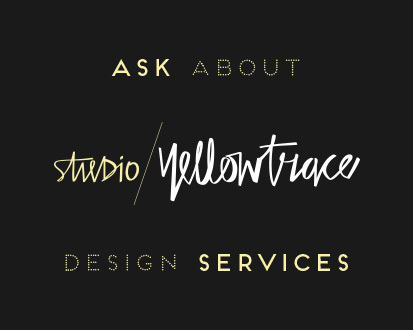 There is a sparseness to the choices that allow the interior to be influenced but never overtaken by the design. 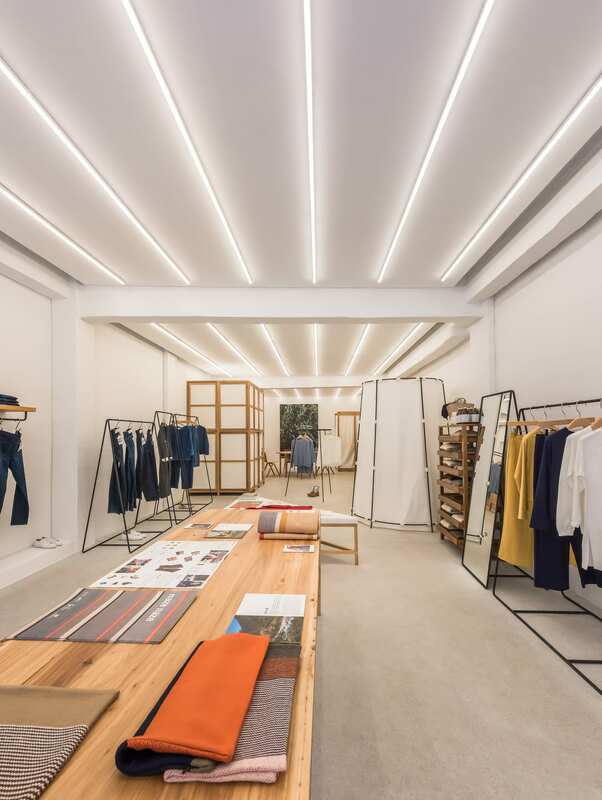 The pieces are separate, but connected through utility, and when placed together in the store, bring everything into a fine balance of urban cool and natural inspiration. hangers are stripped down to their basics. The dressing rooms – one round and one square – are mobile, tent-like spaces that can be randomly placed. A bed board becomes a product display. 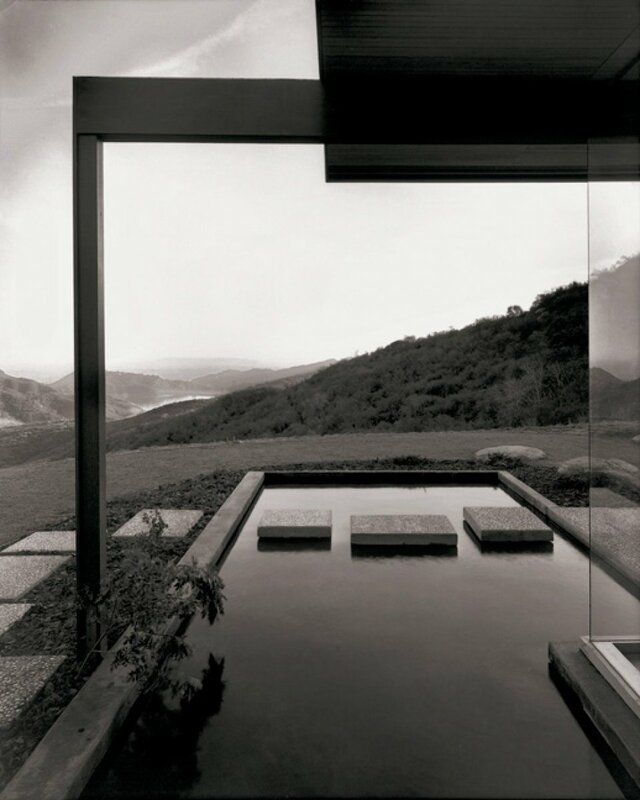 Visually, the interior has a quiet richness that invites slow second or third looks to take it all in. “Ultimately, we organized the space with the simple routines of domesticity in mind: tea drinking, sleeping, working, storage,” said the architects. 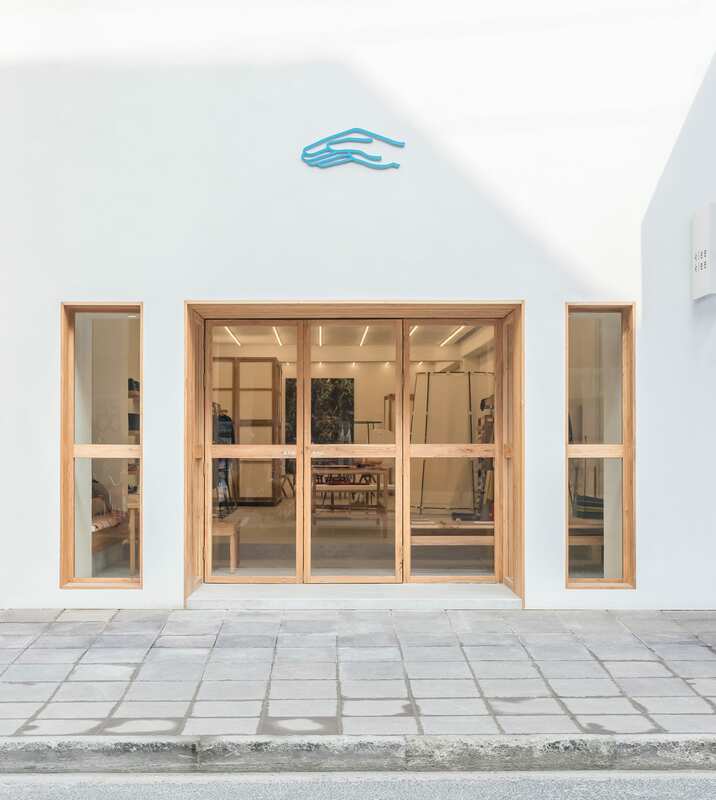 The result is not only a chic retail shop for visitors to peruse a new product, but also a place to experience a real-life manifestation of the klee klee brand. Haymes Launches New Artisan Collection.